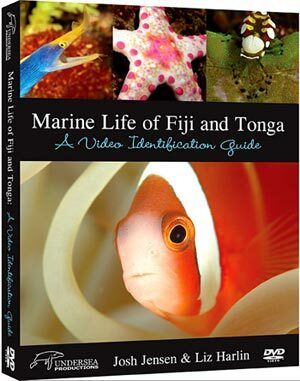 If you love identifying fish, you will love this two-disk DVD. The video identification guide is chock full with video of the most common fish of Fiji and Tonga as well as many indigenous and rarely seen species. Josh Jensen and Liz Harlin spent more than three years and 3,000 dives to assemble video on nearly every species known to the area. This is an important reference guide for photographers and sport divers. Many non-divers and snorkelers will find this DVD collection very entertaining.